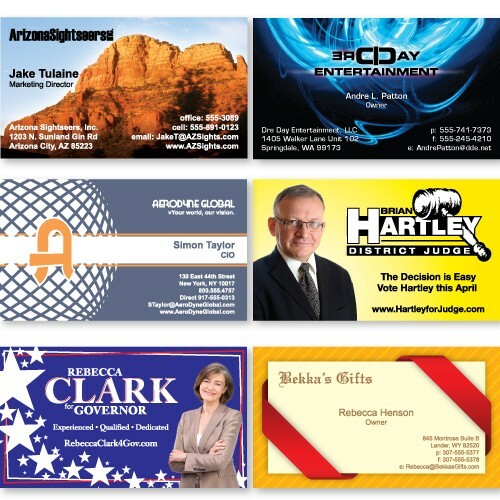 Full color standard stock business card. Size: 2" x 3 1/2". Packaged in boxes of 250. Price Includes: print on 1 side.